I'm starting this thread to document and share the progress of my controller build. I have been working on this for 1.5 years now and is still a work in progress. I have been using this on my tank since April 2013. 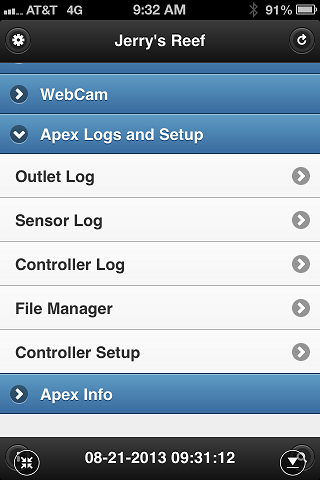 I initially planned on getting an Apex controller, but it does not contain some features I need. 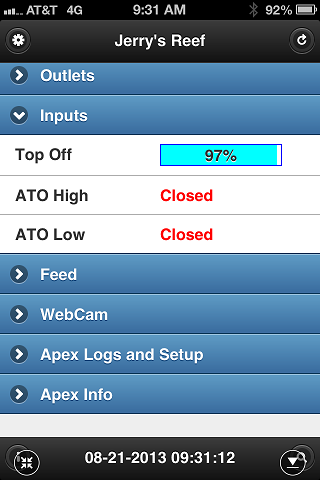 Apex feed mode cannot be run on a schedule, it only has input lines (no output), no water level sensor, and no built it support for auto feeder (I think they are coming out with one for $99). 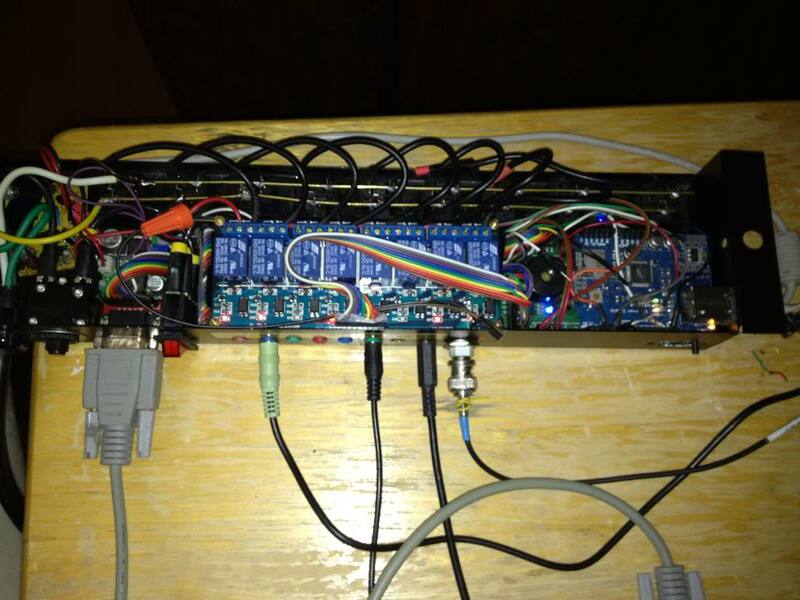 To build a reliable, compact, simple, low cost, web based interface aquarium controller. 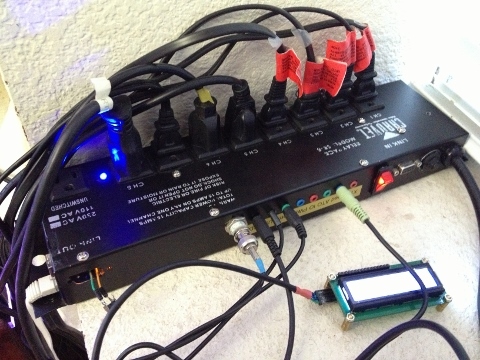 8 outlet aquarium controller using Chauvet SR-08 relay packs. 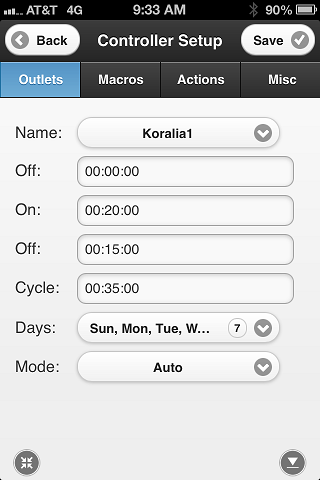 Web based user interface optimized for mobile browser (Neptune Apex compatible). 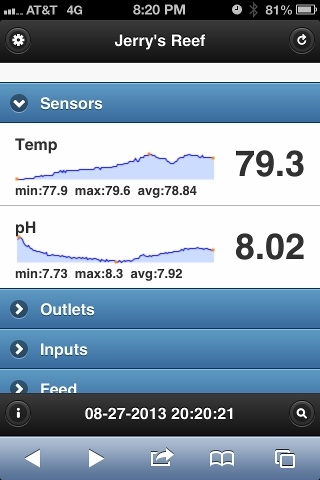 Water level sensor using SR04 ultrasonic sensor (for top off water). Auto Feeder using hacked Aqua Chef feeder. Can run a Feed cycle on schedule. Time is synchronized with NTP server and DS1307 RTC module. Automatic daylight savings time adjustment of time. 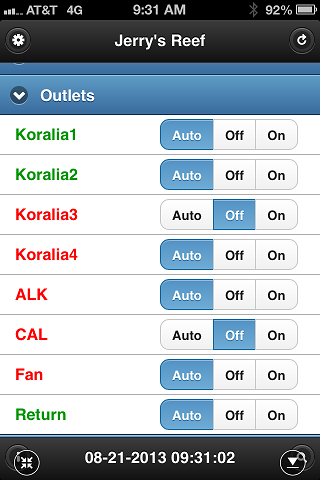 Outlets, Sensors and Web access logging. 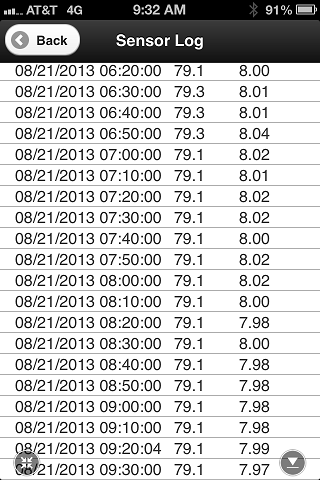 View chart of sensor data for last 24 hours. 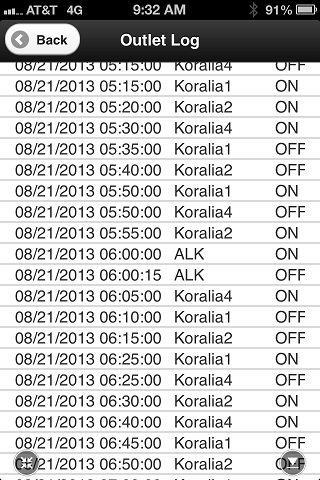 View logs for any day since logging started. Manage SD card files (currently supports file delete only). Can be expanded with another unmodified Chauvet SR-08 to add another 8 outlets. Two channel PWM 0-10v variable output. (hardware implemented, no software yet). The original design includes an X10 interface so I can use my old AC jr DC-8, but had since dropped that feature. The PWM I originally intended for controlling LED lights, but I have since bought a Maxspect Razor so PWM is currently unused. I may use it someday when I get a controllable pump. 8 channel 5v relay module. BC327 PNP transistor and 4.7k, and 47K resistors and 1N914 diode. 5v 1A power adapter (USB charger). 5mm LED and 220ohm resistor. micro SD card. 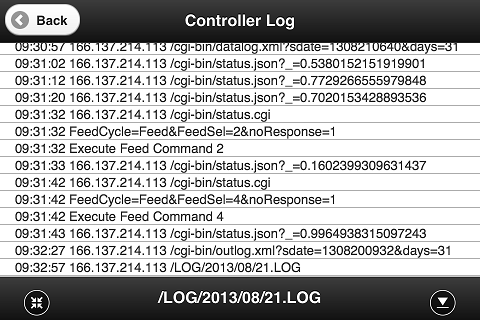 (4GB will store your logs forever). assorted jumper wires, pin connectors male and female , stereo and 4 pole plugs and jacks, prototype board, soldering equipment, switches, etc. DB9 cable (male to female). LM358 and 4 10k resistors. For 0-10v variable DC output. 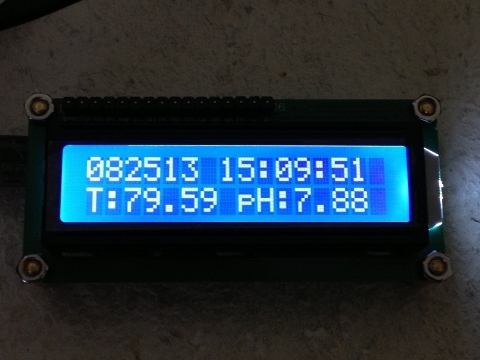 1602 LCD with I2C backpack. You can display a lot of stuff on 16x2 if you get creative. Depending on where you source your parts, the base unit will cost around $150 and definitely under $250 with the optional parts. I got all my parts from Ebay, Tayda Eletronics, and Sparkfun. The main loop executes less time critical tasks at 60 hz (60x per second or once every 16ms) like logging outlet switch events to SD file, updates LCD, update ph, temp and sonar readings. 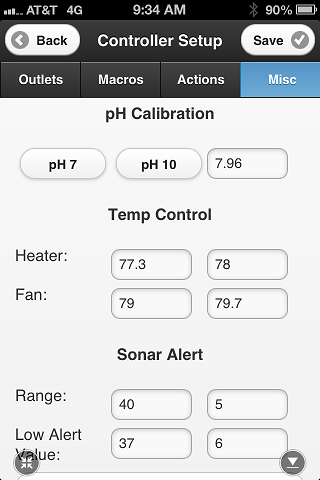 The ph, temp and sonar readings use an 8 reading rolling average to smooth out the values. Input lines use pin change interrupts. Ultrasonic sensor echo pulse, Feeder home position indicator (to stop feeder rotation), generic IO open and close all use pin change interrupt. ATO uses timer interrupt to poll once per second. I also have a timer interrupt based audio beep code for the controller to provide an audio confirmation when commands are received by the controller from the mobile app. The web server code is based on TinyWebserver. I modified it to use SdFat library and to read and write faster (using buffered reads and writes). I also added basic web authentication code to prompt web connections for a username and password. TinyWebserver is nice that it has code for uploading your files to the SD card. main board with Atlas ph stamp, RTC, PWM circuit, ULN2803 driver, connectors, etc. Last edited by d0ughb0y; 07/27/2017 at 03:41 PM. Last edited by d0ughb0y; 08/03/2017 at 11:16 PM. Last edited by d0ughb0y; 08/03/2017 at 11:19 PM. 180. SRO 3000INT w/ANC. 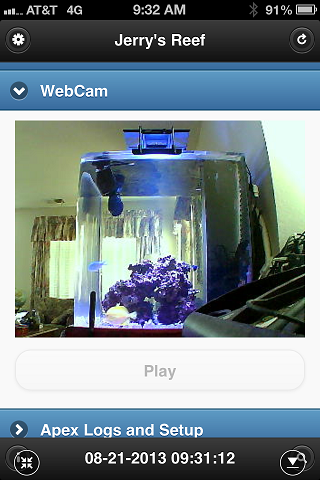 Fluval SP4. Gyre. DIY LED's/T5s. Apex. Bluefish. Clams. Tangs. SPS. Omg I love it. 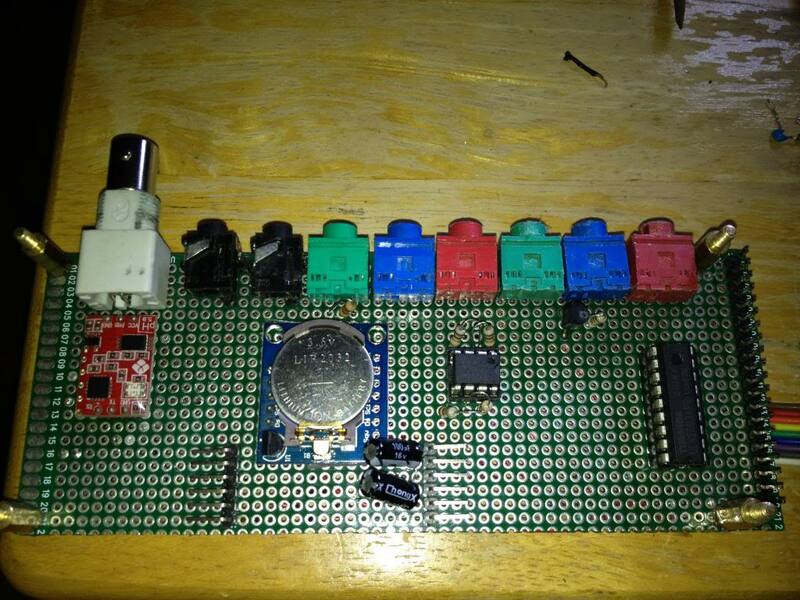 Was about to build a jarduino but need web interface. Now what to do w my touch screen lcd. Want one to test w? Maybe u can make it work? Care to shed some light? very nice work, how do you have ethernet? do you use the ethernet shield? Last edited by djmx2002; 09/17/2013 at 05:55 PM. yes I use the standard ethernet+sd shield. Rafael, I have to fix that. I added a now2 function to Time library that it can be called from interrupt handler. I'll add the instructions later. Allright, post here when you update then! I wonder if it's possible to connect several PH probes. I just updated the readme on github. sorry about that. you can, there are 2 more Serial lines available on the mega, so you can add two more. You just need to extend (or more like duplicate) the code for Serial1 to Serial2 and Serial3. 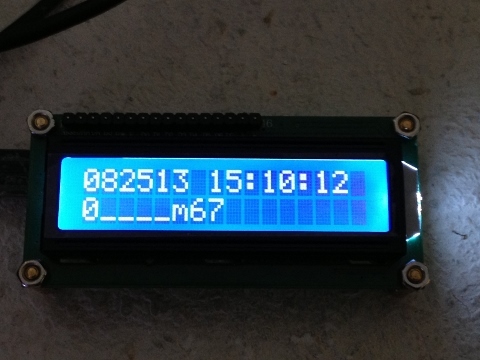 And adjust to corresponding code for the display to display the additional probes. Awww yes! Compiled like a charm! This looks great. Thanks for posting. I will definitely be using a lot of this once I get started. Looking at the relay outlets, why did you use the darlington pair for the second SR8? Since I will not be gutting the SR8 like you and using the two units whole how would I control the linking of the two? you will just need to wire the first 8 just like outlet9-16 using the ULN2803A since chauvet relays are 12v. Then in the code, you will see the logic is inverted for outlets 0-7 and 8-15. So you will need to modify the code to just use the code for outlets 8-15 for all outlets 0-15 since they are all inverted logic now. Likewise, I got a question from someone who is not using chauvet at all, and will just use 2 8 channel 5v relays. In this case wiring outlets 9-16 will just be the same as 1-8 (no ULN2803), and the corresponding change in the arduino code to use the code for outlets 0-7 for all outlets 0-15. BTW for 8 channel relay connection, you only connect Vcc from Arduino to Vcc on the relay board, no ground connection. Then you use another 5 v power supply to JDvcc and Gnd to power the relay coils. I would not use the same 5v from arduino to power the relay coils, because if all coils are on, it will take at least 500ma at 5v. I just gutted one of those USB charger wall warts (everyone has a few of those laying around) and use that to power the relay board. Last edited by d0ughb0y; 09/20/2013 at 11:02 AM. So I will need an 16 array chip or two of the 8. I will definitely need to do another board then. Did you use an external 12v supply for the SR8? This brings me to another question concerning the pin out of the SR8. 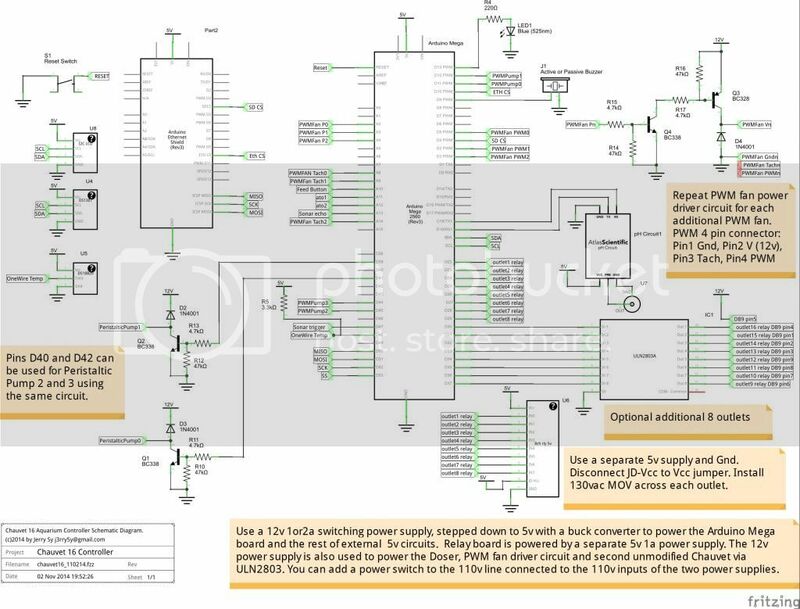 I came across another pinout that stated pin 9 was the 12V pin. Did you have to trial and error to determine the pinout? Can you point me to a line in the code so that I can see the inverted logic. I am really rusty with my programming skills. Last edited by Tickyty; 09/20/2013 at 11:45 AM. I am using a gutted 12v 1a power supply inside the chauvet to power the arduino and the PWM circuit and to pin 5 of the DB9 to power the second chauvet. No trial and error, I opened up the chauvet and test using a multitester continuity test to figure out the DB9 pin connections. You should do the same. actually, first 8 uses PORTA and next 8 uses PORTC, so in your case, you would use the same code as PORTC on PORTA. Last edited by d0ughb0y; 09/20/2013 at 12:06 PM. do you only have one copy of Time library? It should be in libraries folder in your sketch folder, not in the libraries folder of Arduino program. You only add exactly as described in the readme, nothing to delete. Last edited by d0ughb0y; 09/20/2013 at 12:14 PM. It would most likely be simpler if I used two DB9 outlets instead of trying to link the two units together using the integrated connectors. So when I initialize my port A the value should be "0" not "0xFF"? In the utils.ino file line 179 should I remove the ~from "~PortA" as well? You must use two DB9, one going to each chauvet. You cannot daisy chain the chauvet because the DB9 connection is straight through. Yes in the initialization (initOutlets), you want it 0. Basically driving port pin low will turn off the outlet, driving it high will turn it on. So yes in Utils.ino routine that prints the status of the ports, it will be a direct read (no need to invert) to show if the port is on or off. and same for isOutletOn function.